You may think you are doing all of the right things. You coach. You let your team members make mistakes. You show them the “right way”. But is it enough? The combination of learning from experiences — your own or others, trying new ways to get something right, and willingness to persist while remaining open-minded can be boiled down to some terms we are all quite familiar with: coaching, practice, and endurance. 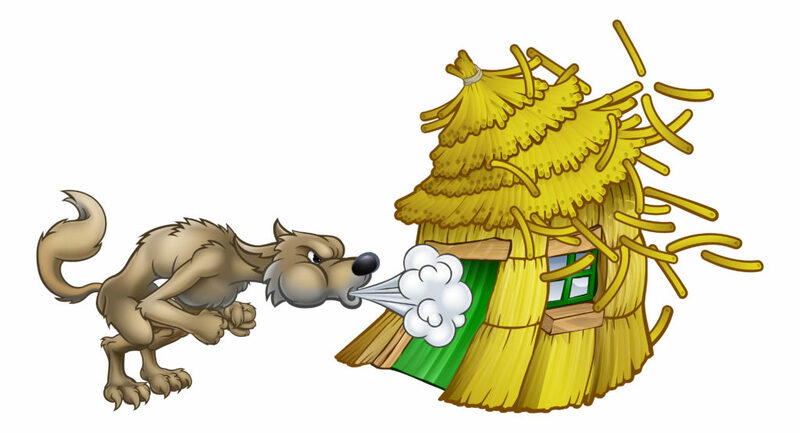 A recent analogy to the well-known tale of the three little pigs gives insight to how this combination can truly mean the difference between surviving and thriving. The article, focused on financial investment behaviors, could quite easily be applied to how we survive and thrive in sales. According to a recent survey by A Sales Guy and published in Forbes, those who exceeded their sales quotas consistently over a 3 year period were 32.5% more likely to be coached than those who missed quota. Clearly, these salespeople know a good thing when they see it. They see that coaching worked for them and so they continue to be open to feedback and practice. But what about those who did not exceed their quotas? What about the salespeople who were trying to build their careers with hay and weak foundations? The survey suggests that it should not be assumed that these people do not want to be coached toward improvement. In fact, although 82.1% of sales leaders say they coach their salespeople, only 48.2% of salespeople report they are getting coached. Further, according to the report, 66.1% of those people who weren’t coached say they wanted to be. This leads us to question what we are doing as sales leaders. If you are a sales leader, do you feel you are providing the coaching your salespeople demand? A whopping 40.3% of salespeople don’t believe their sales leader is committed to their personal development. If you fall into this bucket, what can you do to make a shift way from a traditional selling culture focused on a monthly push for numbers and instead comment yourself to truly improving your salespeople? Today’s workforce is more employee-centric than ever. Employees need to know why they are working, what they are working for, and how their development will be valued now and in the future. Further, as employers, we are dealing with the stress of managing this new employee-centric culture while still grappling with a growing diverse and remote workforce. How can we be all things to all people? There is an answer: technology. Technology alone will not turn your apathetic salesperson into a super-seller but technology in combination with human intervention at the right time and in the right ways, may be exactly what you need. The concept of “Human-Technology Symbiosis” is what sales leaders and leaders in general will need to embrace in order to motivate their team members to a state where they recognize that they are being coached and that the commitment by the manager is not perceived but is real and quantifiable. At Rehearsal, we strive for human-technology symbiosis. We have designed a video-based platform that lets people practice, receive feedback, and enter into a coaching look. The platform let’s this all happen virtually BUT it keeps the human element at the forefront. We see faces, hear tones, watch motions. Managers are expected to respond thoughtfully through either video or text. And those thoughtful comments instantly convey the commitment our people look for in a good manager, leader, or mentor. Next Next post: Are You Stuck in Motion? Deliberate and purposeful practice is not a new form of training. In fact, it is used around the world and has even impacted history. 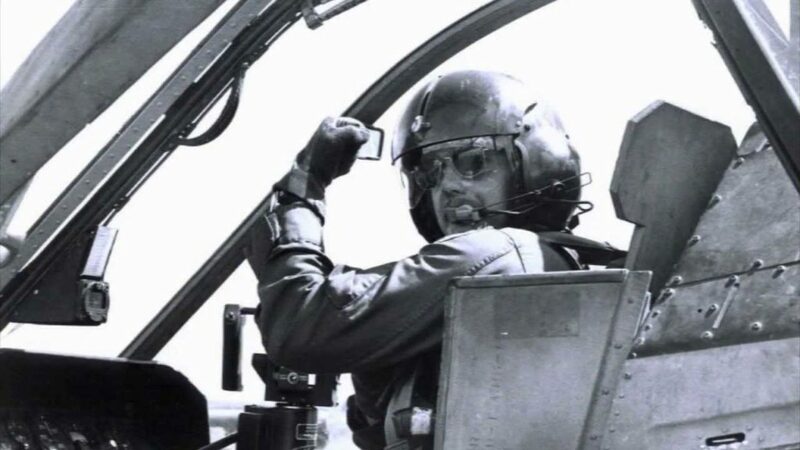 During the middle of the Vietnam War in 1968, U.S. pilots were losing aerial battles with Vietnam at a 1:1 ratio. This means that these aerial battles, or “dogfights”, were resulting in the loss of one U.S. plane for every Vietnam plane lost. In response to these terrible statistics, the Navy created the TOPGUN school, which utilizes elements of deliberate practice in order to create an advantage for our pilots. The Navy participated in purposeful practice by selecting pilots to attend the TOPGUN school and act out combat situations with the instructors. They utilized cameras to record their practice fights and reviewed them with the students to provide coaching. This helped the students understand flaws and grow from their mistakes. Over time, deliberate practice taught the students self-criticism, questioning, and quick critical thinking skills that soon became second nature and helped them in real combat situations. The results from the TOPGUN school’s participation in deliberate practice were extremely successful. Between 1970 and 1973, U.S. pilots were only losing 1 plane per Vietnam’s 12.5 planes. This was an improvement of 1,150%! 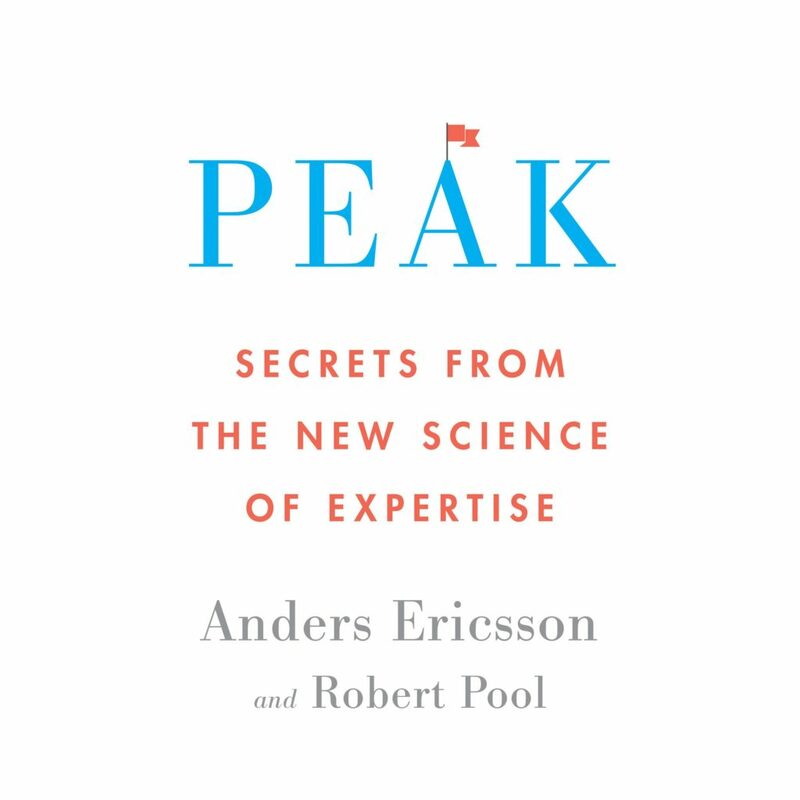 Most recently, the principles behind deliberate practice have been explored in depth by Ander Ericsson and Robert Pool in the book Peak where they distill decades of research into a powerful learning strategy. Rehearsal is committed to developing these same principals of deliberate practice and using them to improve outcomes in the business world. We have an incredible panel of experts we will be working with in 2018 to help develop these ideas into actionable, quantifiable steps for sales enablement, customer service, and leadership development. I was at lunch yesterday with a friend to celebrate his recent promotion. He’s a professor. Shortly after we toasted his success, he said that he was moving to Seattle for the year because his college/employer was sending him on a one-year sabbatical: to learn from what others are doing and to practice what he is teaching. Can you imagine getting a promotion and then being told to leave the office for the year — PAID — on a professional exploration of learning and practice? As the CEO of a fast growing start-up, I know how hard it is to leave the day-to-day for even 5 minutes to reflect, learn, or practice. But I also know that once I commit to practice, I’m getting better. This was never more apparent than my rebrand announcement where I literally practiced the video 25+ times. All too often, we simply REPEAT; we don’t see any changes but we don’t do anything about it because we are creatures of habit. All too often, we just show up and feel that we have done our part, but is that enough? We are satisfied with the way it is, when we know we can be better. A leader — someone who is recognized for initiative, insightfulness, trust, and passion — wants to grow, learn and practice. You don’t have to be the CEO of your company to approach work and life like this — you may be the coach for your kids’ soccer team, the organizer for a volunteer event, or the person at your company who wants to make a change. In all cases, if you simply repeat what was, the results will never change. Add learning, openness, and practice to the mix, and then your commitment to repetition will take you places you’ve never been before. 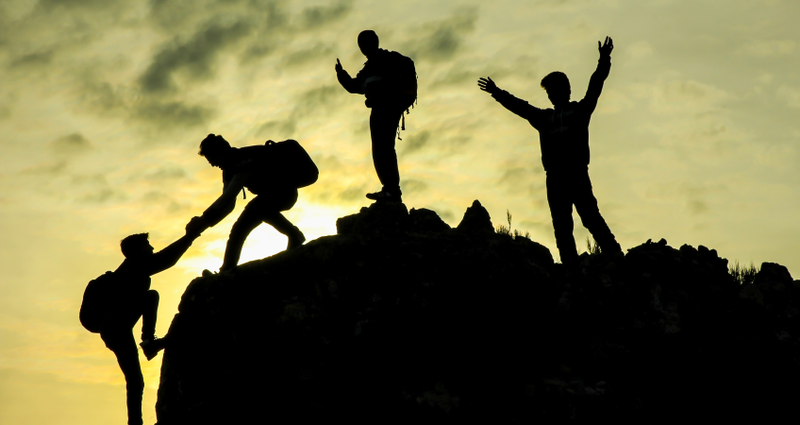 A recent Forbes article stated, “The problem is that many leaders don’t conceive of behavioral leadership as a skill set to be developed the way their technical skills were once developed.” This article focuses on leadership capabilities and suggests that even at the very highest levels of the organization, leaders who practice win. You can only get better when you dedicate yourself to learning, trying, and practicing. There is no downside to this. But the alternative surely comes with a cost. At Rehearsal, we see this every day. We have proof that practice works and that it results in financial, professional, and personal wins. Great overview on Rehearsal done by our European partners. Strong work Triple A.